BARBECUED BINGO: MY ISSUES WITH ‘DOGMEATISM’ | Thoughts of a Calabarboy. 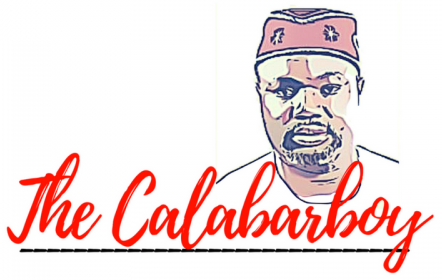 BARBECUED BINGO: MY ISSUES WITH ‘DOGMEATISM’ – Thoughts of a Calabarboy. Let me start by saying I don’t eat dog meat, I have never eaten it (I hope so), and do not imagine any instance of my eating it in the future, except of course a terrible war breaks out and man must survive. Fair enough. But the more probing question will be if I support the consumption of this highly controversial delicacy, which by the way, the Chinese consume far more than Nigerians, if we were to go by numbers. The very mention of dog meat as a delicacy produces “yuk!” as a response, or a feverishly face rumpling grin that is typical of drinking Epson Salt. But dog meat is an increasingly popular delicacy in many parts of Nigeria and indeed the world, therefore no disdaining approach will change anything. I grew up in Calabar with my brother, and we both knew that one thing will never grace our cuisine-polished tongues; dog meat. Down an adjoining street to ours was Mr. Friday, who operated a joint notorious for a large sign posted outside the shack with the tag “404 vs Palm Wine – Come One Come All.” We detested the people who went in there and kind of saw them as vile men, lacking control of their bellies. What made it worse for us was that every Fridays, a pickup truck would pass by loaded with a huge cage containing over twenty frail looking dogs that were probably aware of their approaching demise. Then a few hours later the whole street will be stinking of dog blood, and most people probably do not know that it has a foul odor. These all made it absolutely impossible to sit at table with a hot serving of barbecued dog meat. Things however changed for my family pride when on Christmas day of 1990 my precious brother, my only brother, was visiting with our family friends made up of five prankish daughters. They decided to order grilled meat from a local store to bubble the moment while watching a nice Kung Fu movie. With Hawkish skill they all devoured their portions and soon began to long for more. They contributed cash and placed a second order. But before one of the girls went off to buy, she innocently blurted out to my brother “You don chop dog meat wey sweet like this before?” According to my brother, after what seemed like a year of inner meditation, he responded with unrepentant relish “If na dog taste like this, omo, I don initiate oh.” He came back telling me the story and teasing me with impish laughter, hoping that I would also try it someday. All I could read from his facial expression was ‘I need to be slapped’. My mum didn’t find it funny either and almost ripped out my brother’s tongue. What rescued him was when my cousin began also confessing how she had been lured by her friend to eat at a restaurant and it turned out to be dog meat they were eating. It was when I angrily asked why on earth people keep eating that stuff that my mis-education was laid bare. My brother and cousin began telling how wonderful it tasted and it felt like a cross between chevon and beef. They confessed that when stewed or grilled, or prepared as Pepper Soup, the taste was exhilarating. It was however my dad, my youthful idol, who jolted my perceived reality into actuality by telling of how he frequented dog meat shacks in Old Calabar as a young boy. And with a jocular punch at me, he even mentioned that dog meat was a reason why they could play football so well those days (a fitting punch line since he claimed I was slow footed as a midfielder). From that point, I knew the taste of the pudding was in the eating, and that if I dared venture into the slippery slope of dogmeatism, it probably would take a psychological lockdown to deliver me from such ‘culinary degradation’. So I have successfully stayed away from questionable friends, especially those with an appetite for anything flesh, for therein lies my offense. But I do not lay any charge against those who eat dog meat because I realize that my dad’s own granddad was a local dog meat champion (whatever that means). So if I point any fingers, the rest point back at me. My royal blood has been heavily stained by the…you know what. These may sometime raise the question on whether dogs were first eaten or domesticated. I wouldn’t be surprised if my great granddad also had a greater granddad who was a ‘dogmeatist’. In an Ethics class I took, we had this argument about the morality of eating certain kinds of animals like dogs and cats. Of course most people were offended by the mere thought that Bingo can be barbecued. But a question I threw to my stunned mates was about eating beef. Sounds stupid I know, but how many of them know that the slaughter of cows (including oxen, bulls and calves) is forbidden by law in almost all the states of the Indian Union. Illegal slaughter of cows in India is sometimes the reason for religious riots between Hindus and Muslims. In fact, McDonald’s outlets in India serve only vegetarian, chicken or Fish burgers. A typical case of one man’s meat is another man’s poison. Pork meat is a no-no for Islam and a few other sects, but a wonder meal for others. So wherein lays the case of morality or immorality in meat eating? So this is a clear case of perception. We who eat pork, chevon, beef, or mutton are equally as guilty of irregular behavior as all the dogmeatists in Calabar, Kaduna, Ondo, Abuja, Taraba, China, and elsewhere. It is just a matter of through what lens you are viewing society. Although I still find it hard to come home and tell Bingo I just ate his relative – and risking woof woof! to mean “bite his bloody mouth” – I find amusing all those who are carrying the dog activism beyond measure in today’s society. Now there is a major movement against the eating of dogs, particularly in China, which has notoriously become an international theatre for social scrutiny. Imagine the Hindus, who we know to be in close to a billion, began campaigning against the consumption of beef globally? How frustrating would this world become for some when every animal had an activist, including the Pig (which by the way is scientifically proven to be the most intelligent farm animal)? And to believe that some folks really make a living from nonprofits advocating for an end to the eating of some species of meat. How laughable. That would be a classic example of an organization that would never achieve its mission. We all should realize that the world doesn’t really rotate around one individual, culture, religion, or perspective. It is far more complex than that. The earlier we see that we pose great danger to the peace of humanity in trying to whittle things down to how we prefer it, the earlier we will begin to dismantle the things that separate us; even the meat we eat. So to the dogmeatist, I say keep eating your thing, as long as Bingo at home doesn’t become a target for your recreational comestible fête. I wouldn’t advise that you carry an emblem of your identity in public, especially when you leave the shores of your domain. The repercussions maybe unpredictable (smiles). I have simply written this in response to some discussion I had recently. ← Nigerian Leadership Initiative Notes2Note Promo – A great Job Done!!! Reg…like your previous articles, this one was also on point. If everybody were to just live by the cliche of live and let live…how wonderful would this world be? This topic brings to fore an issue that was raised in my jurisprudence class. The idea that something could be right/ wrong depending on the lens with which you viewed it. We touched the issue of the death penalty. Do you kill because the person has killed and as such the person deserves to die? Does that not make u a killer too? In light of this i believe that even though the test of right and wrong is subjective, there should be a standard ‘litmus’ test for what is good/bad or what is right/wrong and the measure of standardization should cut across race, country, culture and people.. yes??? Good article by the way! Ever had croc? I did and never knew! it was nice sha!